Earlier this February (2018), Bali had a surprise visit from founder of British multinational conglomerate the Virgin Group, Sir Richard Branson. 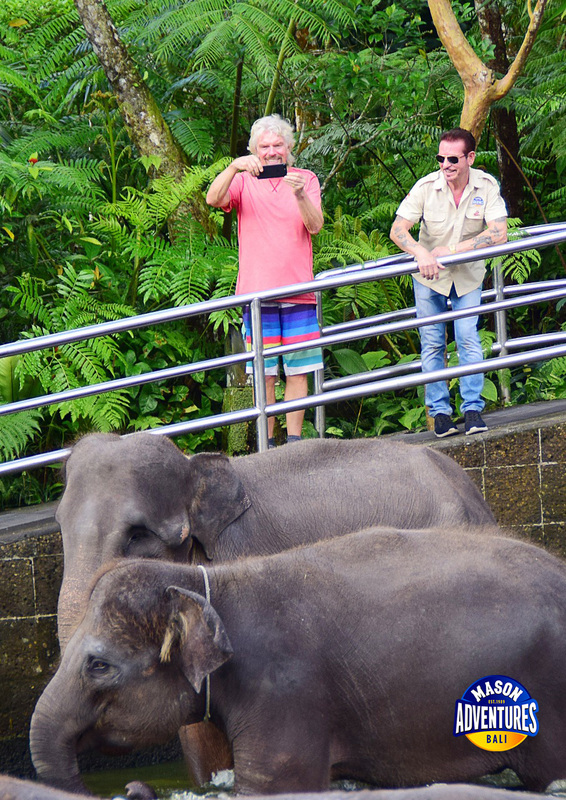 A known traveller and adventurer, Sir Richard paid a visit to Bali’s oldest and most respected adventure company “Mason Adventures” to say hi to the elephants. 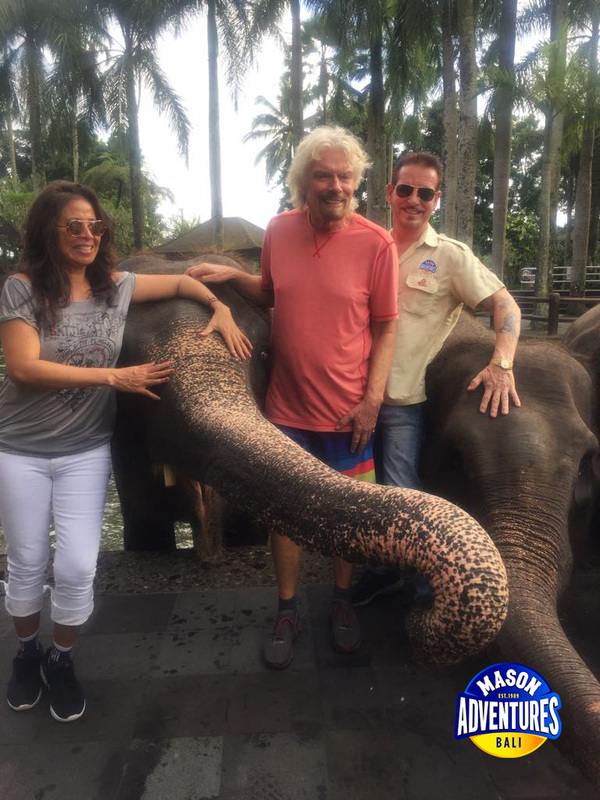 Founders of Mason Adventures (previously Bali Adventure Tours) Nigel and Yanie Mason met with the billionaire businessman as he toured through the Mason Elephant Park & Lodge, found north of Ubud in the village of Taro. Nigel Mason and Sir Richard share a mutual friend on the island, Sir Lawrence Blair, also a famous adventurer known for his legendary documentary Ring of Fire. 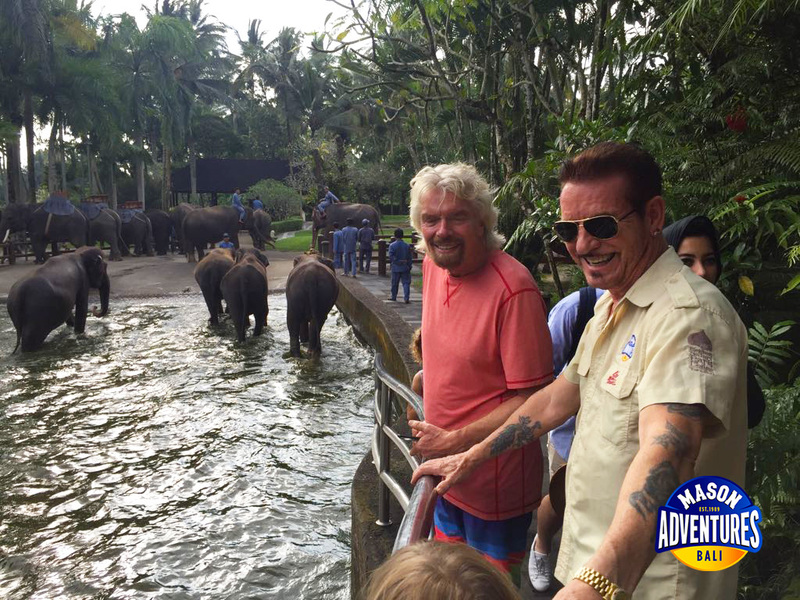 Whilst Sir Richard and his family had an enjoyable time exploring the elephant park, he spoke highly of Nigel and Yanie Mason’s work on helping to preserve the endangered Sumatran elephants. At time of writing the park has 31 elephants, 4 of which were born in Bali as part of a breeding program and many of the older members rescued from destroyed or depleting habitats back in Sumatra. Whilst some people may comment on an elephant park such as this, don’t be too quick to judge. Nigel Mason explains that the conditions many of the elephants were in back in Sumatran are dire, especially in comparison to their lives at the park, where they are cared for, loved and protected for future generations. Do you want to see the Sumatran elephants here in Bali? 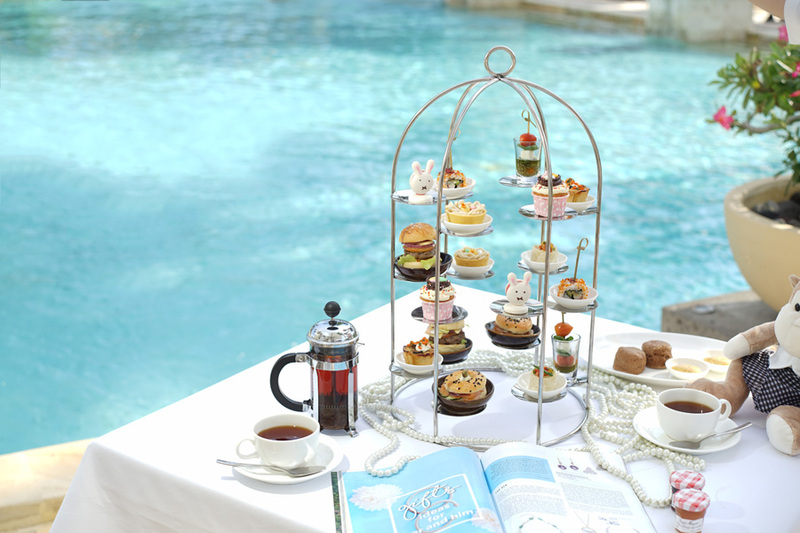 You can easily with the Mason’s latest 3-for-1 experience, where you can get a free Elephant Park visit and Chocolate Factory visit by enjoying a White Water Rafting adventure: find out more. 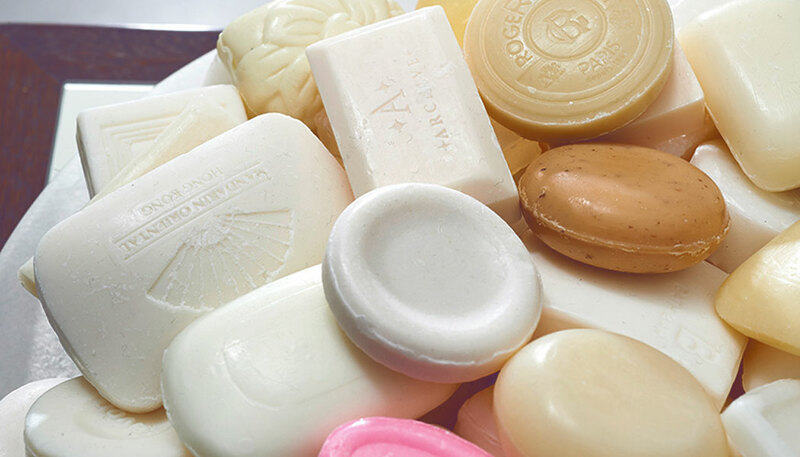 Soap for Hope: What Happens to Used Hotel Soap?